I was given these products for free to review. This does NOT influence my opinions. 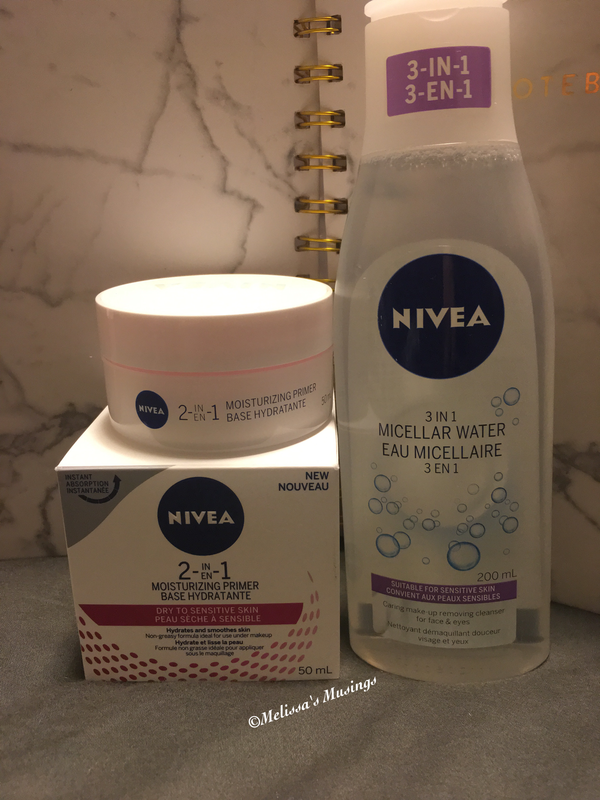 As part of Chickadvisor‘s product review club I was lucky to receive 2 Nivea skin care products to try out and review: the 3 in 1 Micellar Water and the 2 in 1 moisturizing primer. The micelles on a cotton pad work like a magnet to dirt and make-up but keep water outside, so no rinsing is required. I think that this is a great product, but not for me. I find it to be too drying for my skin. I hate products that leave it dry and tight and that was my experience with the 3 in 1 Micellar Water. I also didn’t find it to be very effective in removing eye makeup – but was really effective for lifting residue from a make-up free face. I can see this being a must have for people who have normal to oily skin for mornings or after the gym to refresh the skin. Also would be a great product to take to the cottage or camping. This product I absolutely love and am not sure how I lived without it. At first blush it looks really liquidy – but it absorbs right into my skin almost on contact. It’s really moisturizing to, so for someone like myself who suffers from dry skin it’s a dream come true. My make up glides over my skin and I do notice it lasing much longer throughout the day. If you have a change to pick this one up DO IT! You will thank yourself! 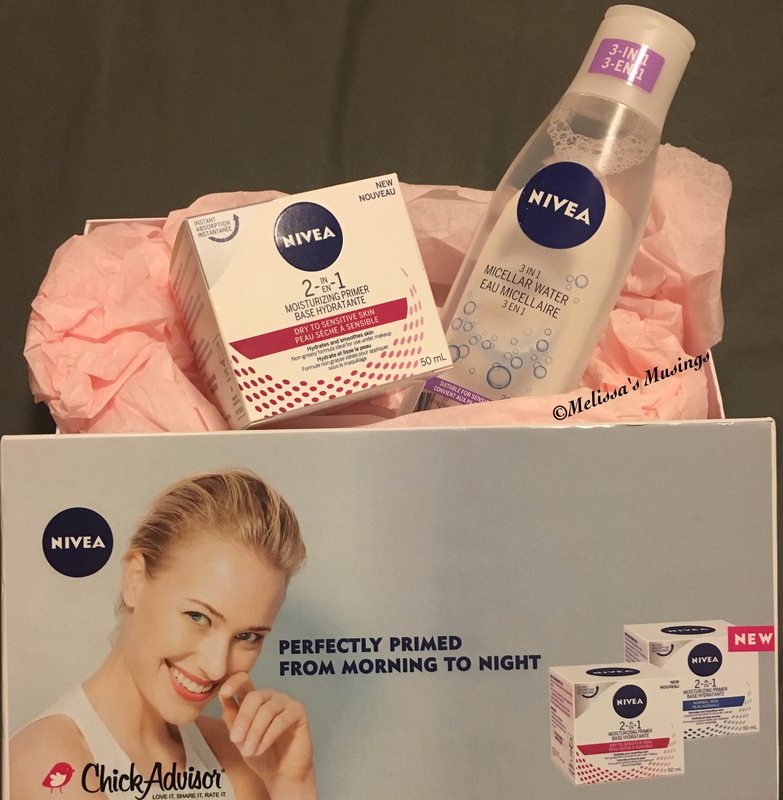 This entry was posted in Beauty and tagged beauty, cleanse, moisturizer, Nivea, primer, Skin, skin care by maldham. Bookmark the permalink.